Condensation forms on vinyl casing as well as glass. To save on energy I keep my blinds closed, opened them today because of rare sunshine in Central NY to find the windows covered in frozen mold. Very disappointed and the warranty mentions mold and the company is not responsible for condensation. The installer blames the window manufacturer. For the price go with a more reputable company. These were not cheap. Great windows. Very easy operation balance system. No condensation problems in the winter. Had for 2 years now in kitchen. DH530. Nice Invisa screen good insect protection and view. Backed by factory repair team for any warranty issues. 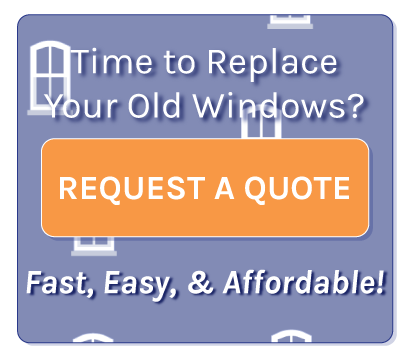 Company: Thermal Industries - PA Location: Chicago area Forget about the quality of the windows and sliders that Thermal Industries make. Let's discuss the warranty. Bought windows for the complete home and 3 sliding doors. Bought: 2009. Come to find out that all three sliders - on their secondary lever locking mechanism on the moving door frame is out of locking adjustment - the bolt was not engaging so the lock is useless. Their office in Wood Dale, IL is out of business so dealt with the home office in PA. After phone calls that are useless as well, I sent a letter. Returned the call to me...Dec. 29, 2016. They do not or will not send someone out to adjust or replace the 3 locking bolt mechanisms. Even though it's cover by the warranty. She said that they would send 3 new bolts for free but there is a $50 handling fee, and UPS charge of $75! So for $150 you get new bolts that you have to do yourself or get a handy man. I just finished adjusting them myself, all working properly within 20 minutes. I see a defect in their design as the locking nut doesn't lock firmly so the bolt can thread it's way loose over time. And the two screws that hold the whole unit in the frame are way too short or way too long and not engaging as they have been stripped out by the installation contractor. (Contractor is out of business as well). I would buy from other local companies as they all look the same. TI has a nice product but customer service and trying to work with them are pretty poor. I would stay away from this company if your going to spend over $5 with them. Out of business....poor communication...always excuses from owner about the project.